Email: FFC@st-peters.ca Phone: 403-286-5110 ext. 109 Judith McRae is our Faith Formation Coordinator, and assists families to arrange Baptism for their babies and young children. She was received into the Catholic Church through the RCIA in 2001, and is excited to be working with our Inquirers, Candidates, and Catechumens, our priests, our sponsors, and our team of volunteer Catechists to ensure that the RCIA process here at St. Peter’s meets the needs of all who are being received into the Church. She received training in RCIA leadership through the Western Conference for the Catechumenate between 2003 and 2006, and has also attended several local RCIA workshops through the Office of Liturgy at the Diocese of Calgary. She is an experienced Catechist, having taught adults, teens, and children in a variety of faith development programs for many years. She has nine years of practical experience in Catholic Youth Ministry, and taught the Junior High Catechism program at St. Pius X for more than 10 years. 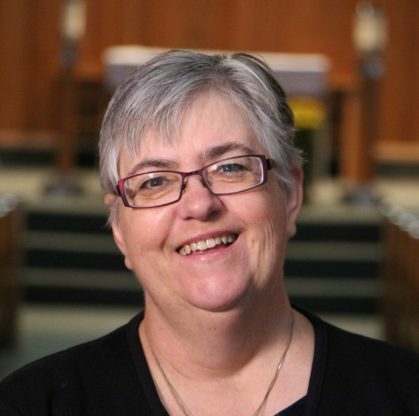 Judith has Catechetical certification from the Diocese of Calgary, and studied under the Canadian Redemptorists for the Canadian Certificate in Youth Ministry Studies. Her past experiences include work in the printing industry, the visual arts, educational media development, and during the late 1990s was a member of the Collaborative Electronic Learning research project at the University of Calgary studying new developments in multimodal education. Her degree is in Fine Arts, and she continues to operate a painting studio in downtown Calgary in addition to her duties at St. Peter's.